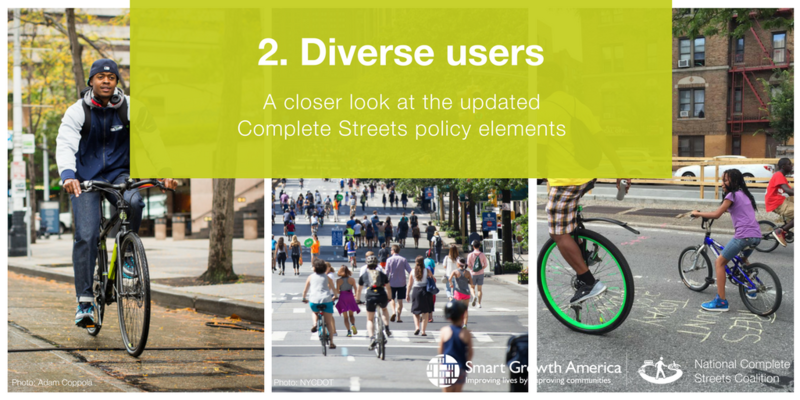 Over the last decade, we’ve come to understand that a Complete Streets policy is only the first step to making streets safer and more accessible to everyone. We’ve revised the “Implementation steps” policy element to include increased accountability from jurisdictions and requirements to include equity and community engagement. 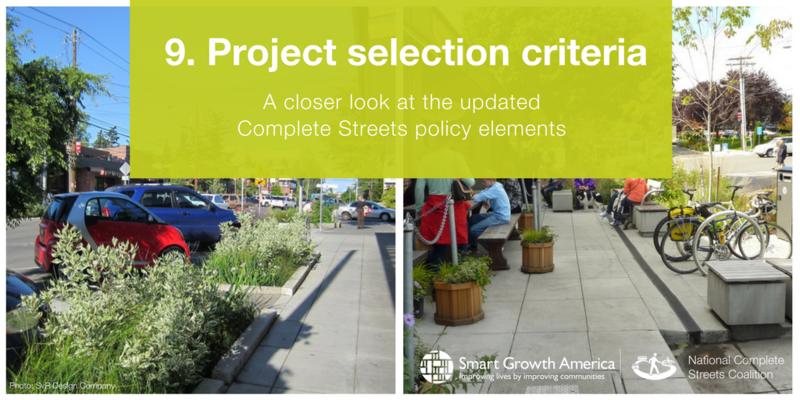 To most effectively implement them, a good Complete Streets policy must be fully integrated into the process for selecting transportation projects. And that process should focus on active transportation projects with a priority on underserved communities in order to reduce health, safety, and economic disparities. 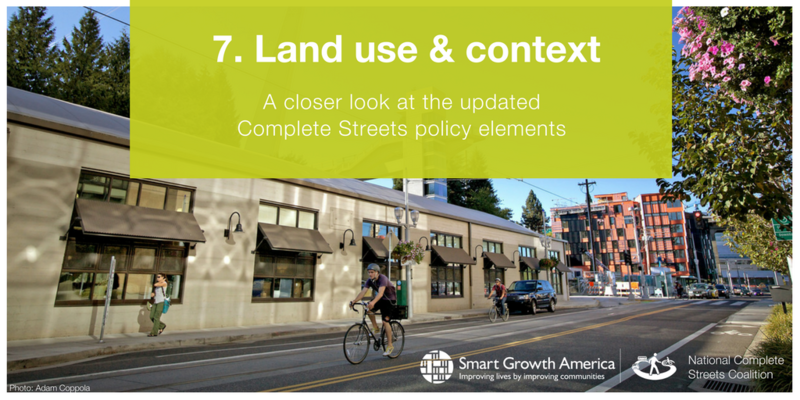 We’ve raised the bar for this element of our Complete Streets policy framework to better account for land use and context. In our previous framework, we gave points to policies that simply mention community context in decision making. 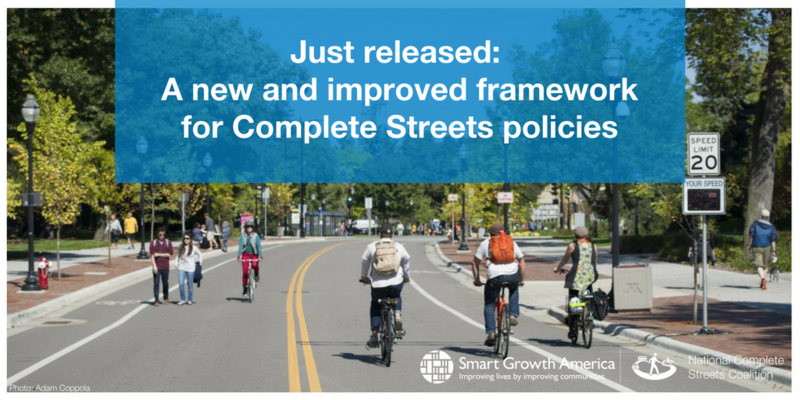 Now, the updated framework requires Complete Streets policies to integrate land use policies, plans, zoning ordinances, or equivalent documents from jurisdictions at all levels of government. 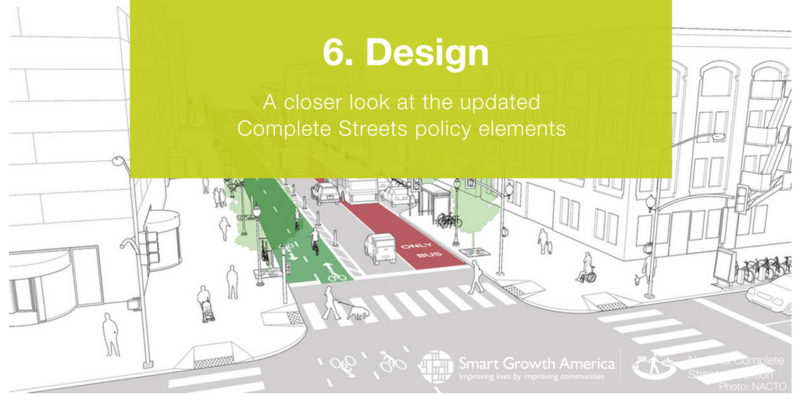 A Complete Streets policy cannot be implemented without an understanding of how to improve the physical environment. Jurisdictions should prioritize appropriate design guidance into their policy and implementation plans. The way roads are designed can influence traffic speed, safety, comfort, and many other factors that affect all people who use the street. We’ve updated this policy element to require jurisdictions to adopt or design guidelines in addition to adopting a policy. 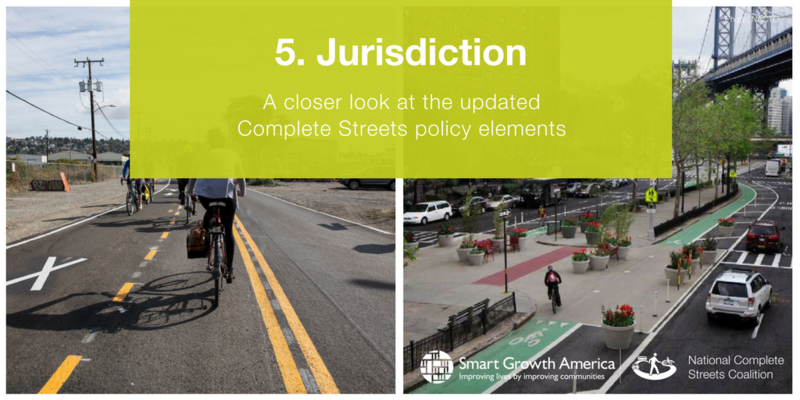 The jurisdiction element addresses how agencies who may be responsible for building or maintaining roads can require outside parties to comply with the Complete Streets policy. 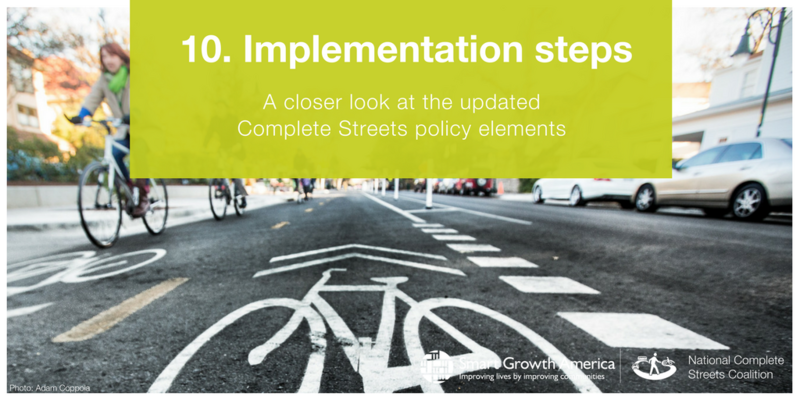 Creating a Complete Streets network requires interagency coordination between government departments and partner agencies. We spoke to Byron Rushing, one of our Steering Committee members from the Association of Pedestrian and Bicycle Professionals who shared his insight on why this element is crucial in Complete Streets policies. 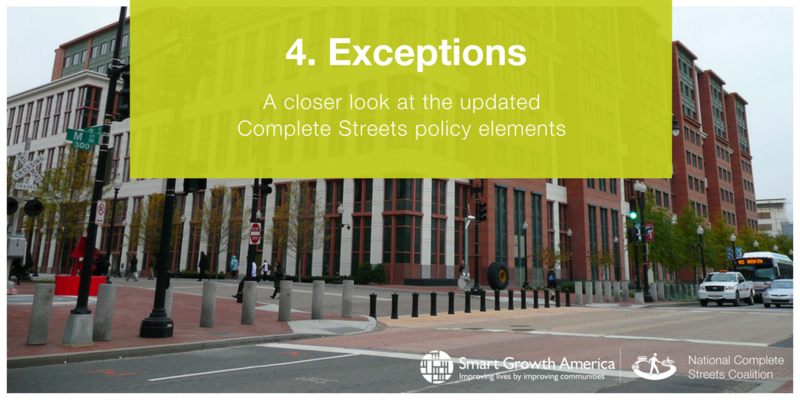 Effective Complete Streets policy implementation requires a process for exceptions to providing for all modes in each project. Exceptions should follow the Federal Highway Administration’s guidance on accommodating bicycle and pedestrian travel and identified best practices frequently used in existing Complete Streets policies. The Coalition believes these exceptions are appropriate with limited potential to weaken the policy. 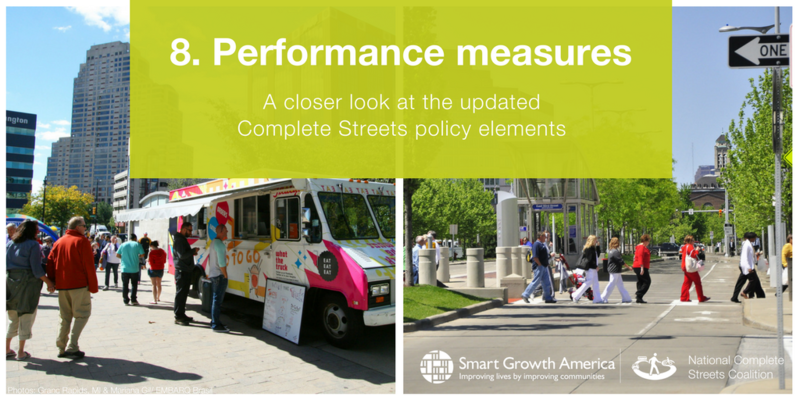 The ideal Complete Streets policy has a strong commitment that all transportation projects and maintenance operations account for the needs of all modes of transportation and all users of the road network. 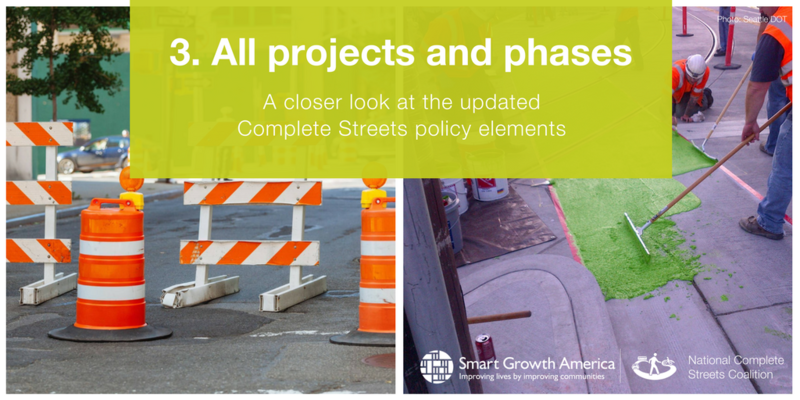 Existing projects and maintenance should be seen as opportunities to implement Complete Streets. However, this does not mean every street needs to add a bike lane during regular maintenance but it is worth considering the potential benefits. We spoke to one of our Steering Committee members Ignacio Bunster-Ossa from AECOM to hear more about how jurisdictions can implement this revised policy element.